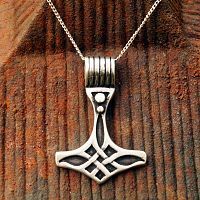 - A simple Celtic knot forms the body of this unusual Thor's Hammer. Also has a larger than usual hole. Approximately 1-1/8" tall. Includes 18" Sterling Silver chain. 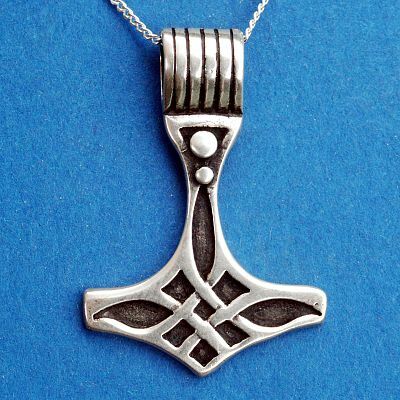 Do you have any other questions about our Silver Celtic Thor's Hammer Pendant? This one has a beautiful shine and weight to it. 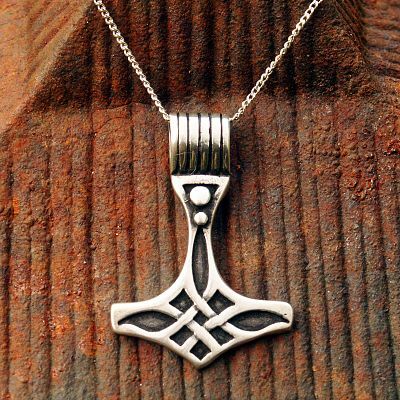 Absolutely wonderful quality with this pendant. I'll bet it's one I'll wear often.